A render of the Machinegun turret. 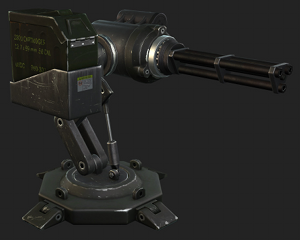 current 23:27, 4 November 2012 300 × 240 (52 KB) Velociostrich (Talk | contribs) A render of the Machinegun turret. This page was last modified on 4 November 2012, at 23:27.